Norma Tourangeau is Deaf and originally from Colorado. She received her Master’s degree in Deaf Education from Boston University. She started working at the University of Rochester in 2010. 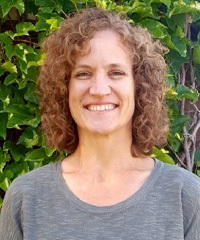 She teaches many different ASL courses from basic to advanced language instruction and upper level electives including: Sociolinguistics of the Deaf Community, Linguistics, and Deaf-Related Careers.